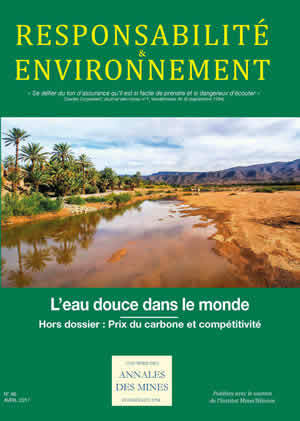 Responsabilité et Environnement - N° 86 - April 2017 - Fresh water: How to manage a common good? N° 86 - April 2017 - Fresh water: How to manage a common good? Drinking water: Finally, hope for billions of people! Preventing the risks of flooding: Protection or adaptation?